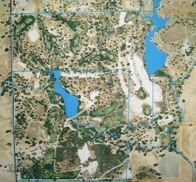 Aug. 1 - 200 acres APN# 050-052-002 deed recorded to Mike and Michelle Nemee. 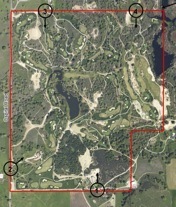 Another 240 acres purchased - work on golf course begins in secret; owners claim they’re putting in a vineyard, no golf course. Apr. 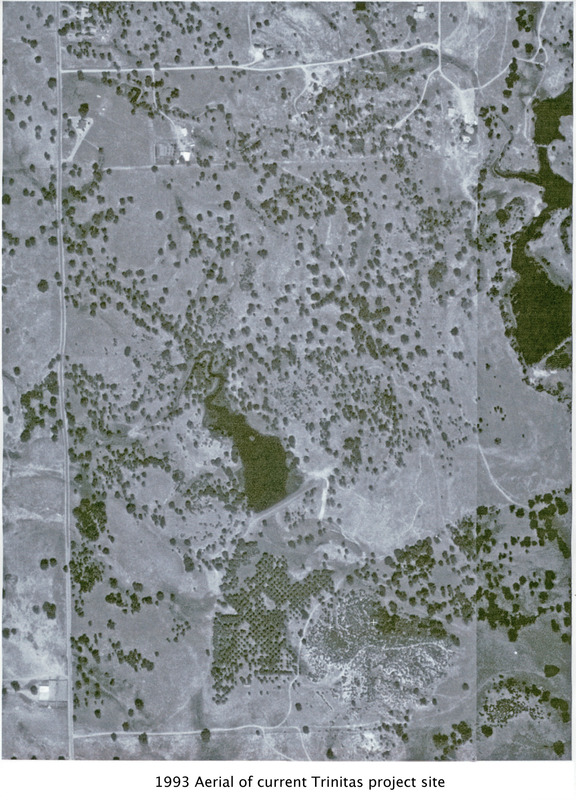 23 - 240 acres APN# 050-052-003 and -004 deed recorded to Mike and Michelle Nemee and Douglas & Pat McKee (Michelle’s parents). Aug. 22 - Code Compliance complaint re: 5000 sf barn, well drilling, road work. Dec. 14 - Code Compliance letter informs the Nemees of alleged code violations re: dwelling unit in barn, built before acquiring building permit...“immediate action is required to abate these apparent violations…failure to comply may result in legal action being taken against you.” Building Department reports Nemee submitted plans for as-built conversion this date. Dec. 27 - Nemee responds to CCU Notice of Violation. Boundary line adjustments sought to create separate parcels for Mike and Michelle Nemee (280 ac. for Trinitas, and 60 ac. 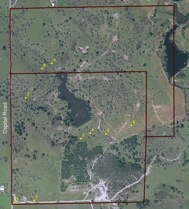 later included in some “project site” environmental studies) and their extended family(his parents 40 ac., her parents 60 acres). Complaints mount; applicant finally admits to constructing a golf course “for personal use”, and requests a change in AP zoning to allow golf courses as a conditional use. 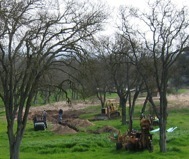 Over several months, a neighbor emails Waller 20+ times, reporting habitat destruction and noise from grading and asking County to stop course construction activities. Oct. 3 - Neighbor appeals to state Senator Rico Oller’s office for enforcement. Aug. 5 - Environmental Health Department sends Nemee Notice of Violation re: well drilling without a permit; issues stop work order to well driller. May - Wallace/Burson Association sponsored neighborhood meeting to introduce Trinitas project. 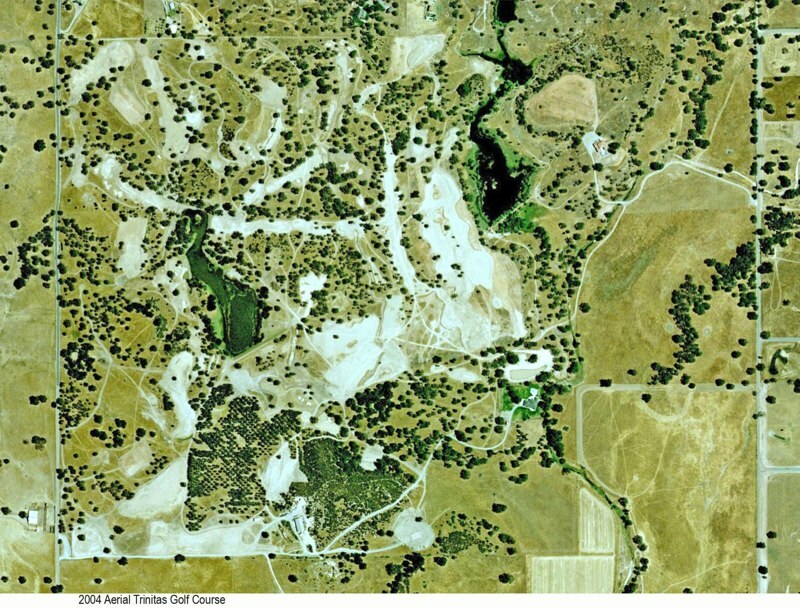 In response to public concerns about irrigation drawing down the area’s water table and threatening neighbors’ wells and ranchers’ livelihoods, the applicant claims the course will be irrigated with recycled surface water from on-site ponds. March 15-21 - North Access road constructed, without permits, while project is under stop-work order. May 2 - Valley Springs News article “Trinitas moves ahead without county’s OK” airs controversy over the proposal. June - Draft EIR released; KIRC organizes, reviews the document, and submits comments by August 27 deadline. Sept 4 - Tournament play at Trinitas cited in Board of Supervisors meeting. Frequent sightings of golfers playing the course throughout September. 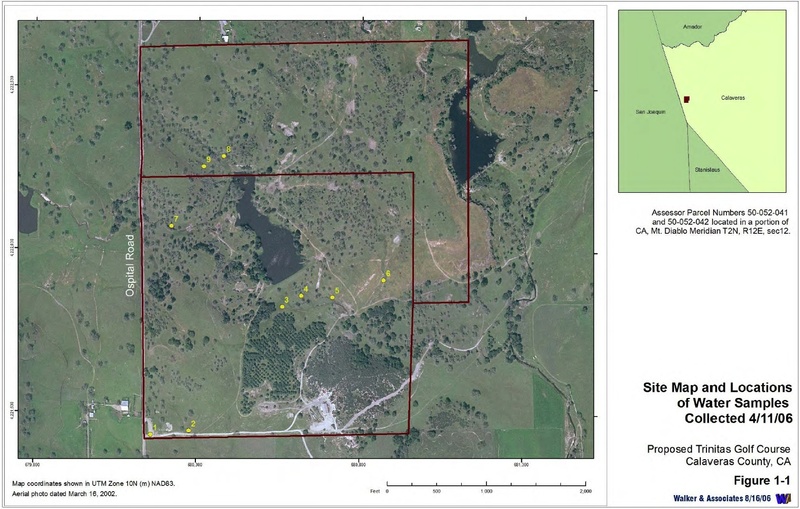 hearing to rezone properties from AP to A1; KIRC found discrepancy between agenda and staff report – where the two Trinitas parcels were sandwiched among other parcels going into and out of Agricultural Preserve (AP) zoning – and got them pulled for discussion at a future meeting. Oct. 9 - Board of Supervisors meeting on hiring Quad Knopf to review public comments to the Trinitas DEIR and write the Final EIR. 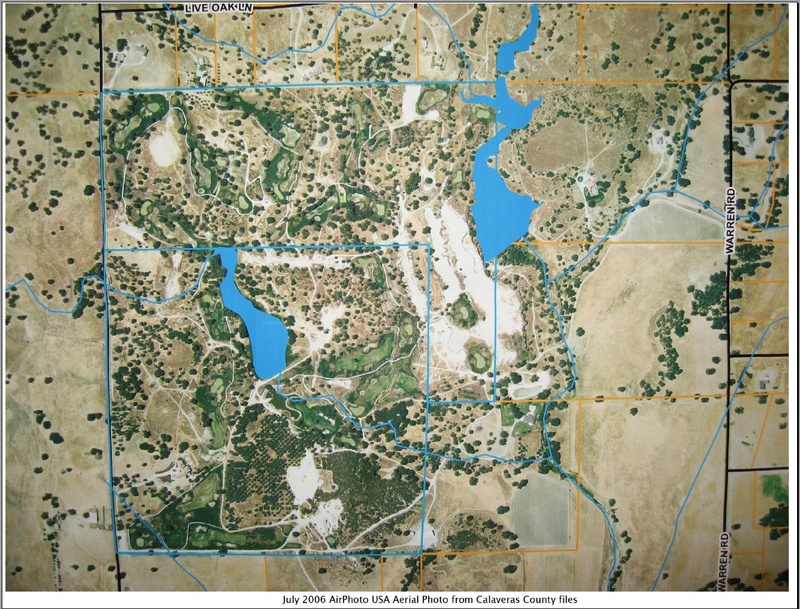 KIRC’s questions about Quad Knopf’s objectivity and the deficiencies of the original EIR led to a reappraisal of the “baseline” issue of whether the original DEIR was flawed in excluding the “existing” golf course from environmental review. Nov. 6 - Supervisors reverse the baseline decision, send the EIR back to the consultants to determine the environmental impacts of building the golf course. 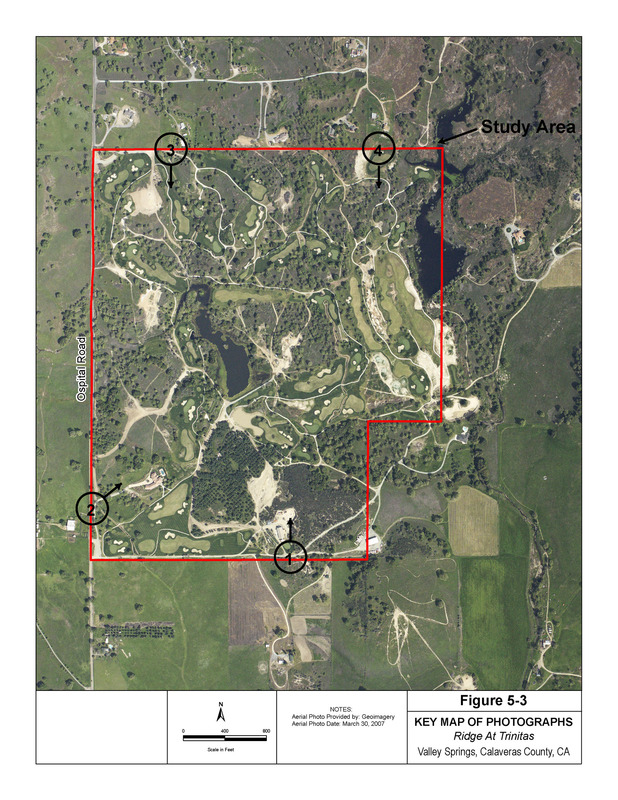 Jan. 31 - Department of Conservation Williamson Act audit letter released, mentioning Trinitas by parcel number under Situation 7 as having built a golf course while the property was restricted by a Williamson Act contract. Aug. 15 - RDEIR released; public comments deadline Sept. 29. KIRC submits 23 chapter/section letters by 13 individual reviewers. Feb. 9 - FEIR released, missing Chapter 6 - Response to Comments. Feb. 10 - Board of Supervisors Meeting - KIRC questioned CEQA adequacy of the FEIR, based on unclear/missing responses to public comments; AD FEIR Chapter 6 later posted to County Trinitas Project web page. Over the next week, additional significant omissions from the FEIR and Staff Report were noted. Feb 19 - Planning Commission hearing on Trinitas held at San Andreas Town Hall; Estimated crowd of 150-200; over 60 speakers, pro and con. DVDs of the meeting can be purchased from Public Access Television, and written comments can be read/downloaded from the County website. March 19 - Next Planning Commission hearing at San Andreas Town Hall, begins at 9 a.m.
Construction equipment lined up at the lodge site in March 2006. The developers built an encroachment from Ospital Road to the proposed lodge site without permits, after being told to stop construction and golfing activities onsite until they received all necessary entitlements. 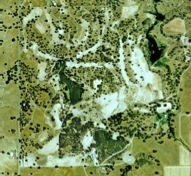 To see larger aerial, click image. “Nemee has been contacted and told to stop until this is resolved. He has a meeting scheduled with Code Compliance within the next 24 hours. “Public sentiment toward the project has been less than enthusiastic. A ‘public scoping session’ was conducted in February of 2006 in the Old Burson Firehouse and nearby residents expressed their concerns with Nemee’s proposal. In addition to issues over water, Nemee’s neighbors said Highway 26 and Ospital Road were already inade-quate and could not handle any additional increases in traffic without major improvements. 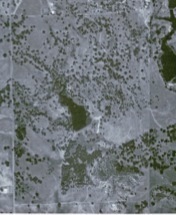 To see larger aerials, click images.